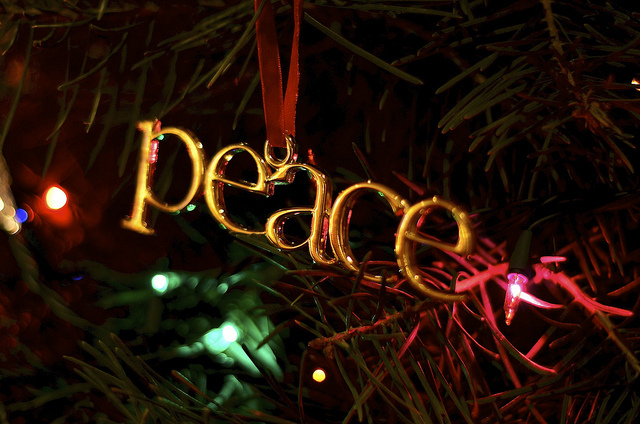 Home » Christianity » What is it to light a candle? My wife has recently written about the fact that when we travel and there are churches or cathedrals to visit, we light a candle for Mack. We have done this since last summer, the summer after he passed. There are usually hundreds of candles burning there. People light them for many reasons: as a memorial, a petition to God (or in the Catholic Churches to one of the saints) or thanksgiving for a prayer answered. 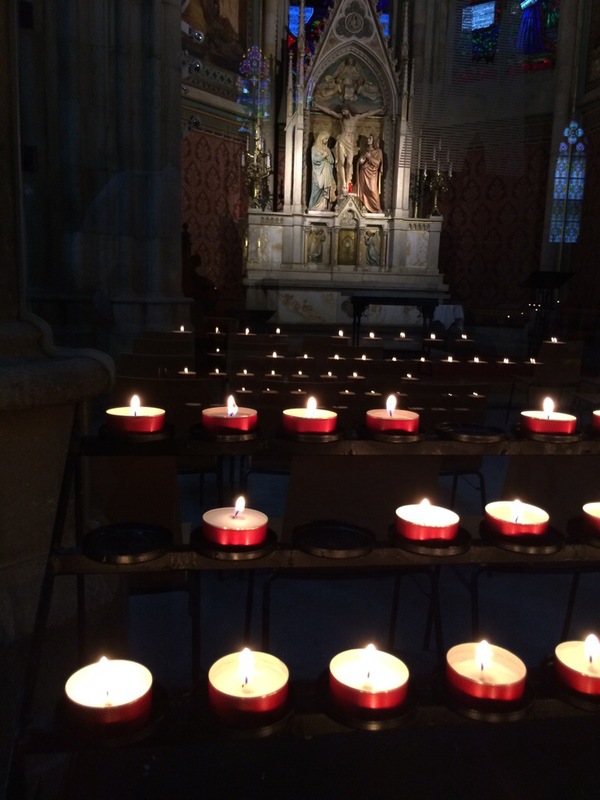 At the Votivkirche in Vienna, a church built as a dedication by Maximilian, later Emperor of Mexico, in gratitude that his brother, the Emperor Franz Joseph, was not killed in an assassination attempt, there were many stations for candles and a beautiful glassed in chapel for prayer. They also included this pamphlet and prayer about lighting a candle. 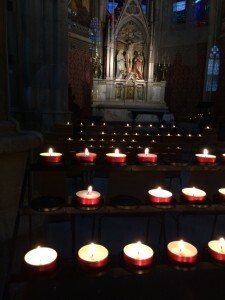 Candles themselves cannot pray, but they can help us to pray. If different ways they can accompany us through our lives. Each candle is in some way a reflection of that Light which came into darkness of our world in Bethlehem. As the light of the candle brightens the darkness so our existence is brightened but he life of Jesus. A candle also reminds us of Baptism, the beginning of our way with Christ and of our call to life, to eternal life. Simple guidance and direction, but a wonderful reminder of how important simple symbols are and can be in our lives. The prayer is, I think, also suitably pedagogical and truthful, getting to the nub of our needs and experiences in that moment. Through this candle light may You enlighten me in my difficulties and decision making. Through this candle flame may You burn away the evil in me, that from it the new and good can arise. Through this candle flame may You warm my heart and teach me to love. With this light a piece of myself remains, I would like You to have it as a gift. Help me continue my prayer in all that I am and do this day. That others may being to shine. Previous post Are eschatology and apocalypticism “healthy”? Next post Morning by morning?